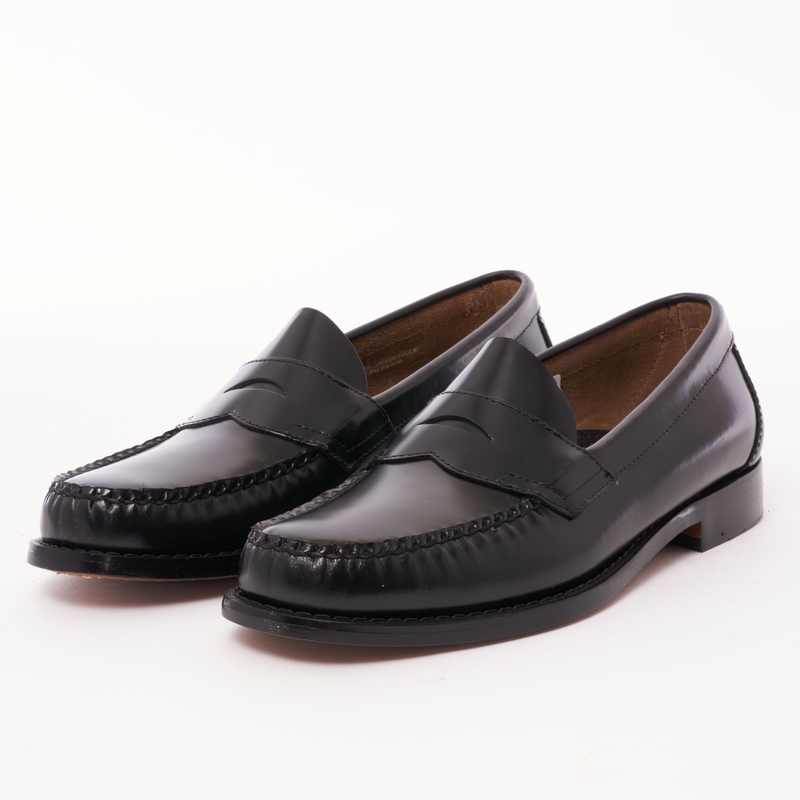 A timeless staple to arrive as part of this season's Bass Weejuns collection this Logan Penny Loafer promises to become an integral piece of your everyday attire, work or play. Stylish and elegant this Black leather iteration features a polished leather upper that boasts a bridge panel with an alternative penny cutout. Sitting upon a leather oustole with a tonal Black rubber top piece the Logan can be worn as a subtle statement piece as part of your evening attire or as an everyday shoe when combined with a pair of tapered chinos or dress trousers.